I’ve been making My Memory Bears since 1999. The idea of My Memory Bears began after one of my girlfriends asked me to make a bear using a coat that belonged to her deceased Mother. So now, besides making normal handmade bears, I’m able to make someone happy with a My Memory Bear. I used a baby blanket that I used to have as child and turned it into an My Memory Bear for my daughter (as shown in the picture below). Used clothes, blankets, quilts used by your child(ren) or someone that you (did) care about or something with a special memory attached, why let it hang in the closet or sit in the attic gathering dust? Let me make you a My Memory Bear! The bear will be approximately 45cm (18 inches) tall and will be filled with fiberfill while the heads, arms and legs will have movable joints so that the bear can sit up. If you would like for the bear to be able to stand up, please let me know and I will fill the feet up with mineral granules. Price is on request. To make one bear, I will need approximately 1 meter (yard) of fabric, please make sure you have it cleaned before shipping to me. You can send me several different fabrics to make the bear. I will check each fabric to see how and where best to use to make your My Memory Bear. I can more or less use any type of fabric you send me EXCEPT thick leather. I would also advise you not to send very thin or stretchable fabrics. Once you order a My Memory Bear, I will send you an official order number to be mentioned in your payment. In the order form , you will also find my address and bank account number. 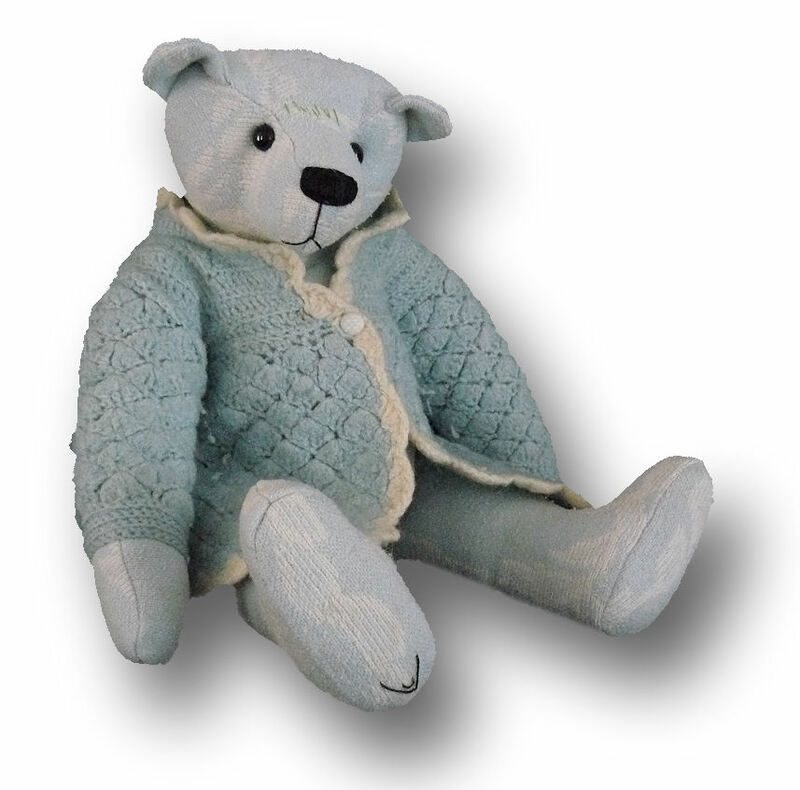 Within 2-12 weeks of payment, you will receive your My Memory Bear and any leftover fabric(s) you may have sent.